Last weekend saw the arrival of Cardiff’s first book festival. A 3-day event with numerous activities, workshops, debates and dialogue held across the city. As an avid book lover myself the news of the event was music to my ears. I was delighted when I was invited along to sample some of what the book festival had to offer. Over the weekend I went along to a workshop with local writers Rachael Trezise, Johnathan Edwards and Dan Tyte. I took my son along to a children’s event with author Jon Blake and I popped along to several other lectures and debates. The ‘Improve your writing poetry, short story and novel writing’ workshop was the event that I felt I gained the most from as well as finding it the most enjoyable. I’m currently a full time student at Cardiff Metropolitan University studying English and Creative Writing, so I found this additional workshop hugely beneficial. The opportunity to share ideas with published writers was incredibly inspiring. I studied short story writer Rachael Trezise last year, as I am a short story writer myself I took full advantage of asking a few questions. I also enjoy poetry so the writing tasks set by Jonathan Edwards were truly inspirational, we learnt techniques that we can take with us and use in future writing projects. I had never seen myself as a novelist, never wanting to plan or take on the challenge of a mammoth writing task, however Dan Tyte may have changed that theory for me. He gave us some techniques that we can use to get started. Dan spoke about his own writing style and how to remain disciplined throughout the journey of novel writing. Again, we could ask questions in this informal and friendly environment which provided us with such a unique experience. ‘’An amazing experience, I learnt so many skills and techniques that I can use when writing my own work. I would definitely attend the book festival again in 2017’’ – Aaliyah Buchanan. 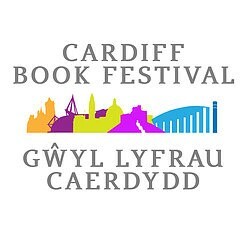 Cardiff is a city brimming with literary talent, I really hope that the book festival returns next year. I’m sure it is an event that will grow each year, I for one am a huge fan already. Cardiff book festival is also a fantastic way to meet like-minded people as well as supporting local writing talents. So if you missed out this year, look out Cardiff book festival in 2017, you won’t be disappointed.